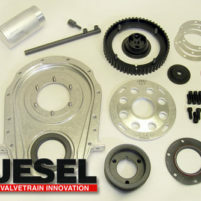 Valvetrain stabilizers are a must have when using any aluminum cylinder head or iron cylinder heads running high Rpm’s. Besides preventing bent or broken rocker arm studs, they also prevent power loss due to variation in valve lash, camshaft lift, camshaft duration and valve timing. 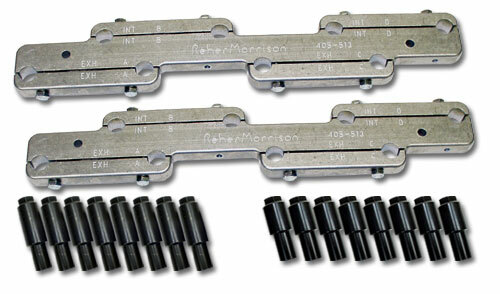 Reher-Morrison machines these valvetrain stabilizers from strong and sturdy 3/4″ aluminum bar stock on our in-house CNC equipment. Unlike “universal” bars, RMRE valvetrain stabilizers are engineered to fit the specific valve lengths used in standard and raised port cylinder heads – no more bent studs or bound-up adjusters! Complete with all hardware and heat-treated locking adjuster nuts. 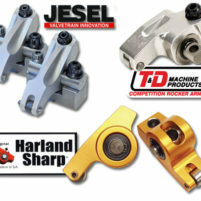 The stabilizers for Small Block Chevy are for Standard Small Block Chevy applications ONLY. There are two different stabilizers for the Big Block Chevy. One fits Standard Big Blocks, like cast iron and early “C” port aluminum heads. The other model fits raised runner heads, like the Chevy BBC Bowtie and other after market raised runner Big Block aluminum heads, like Brodix, Dart, Edelbrock, etc. 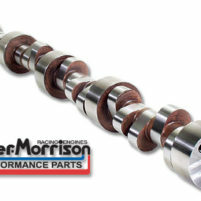 They’re designed by racers for racers, and available exclusively from Reher-Morrison! 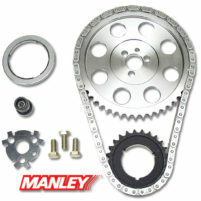 If you require more information, please call our Technical Department TOLL FREE @ 1-855-467-4880. Our staff will be happy to assist you with the proper selection.